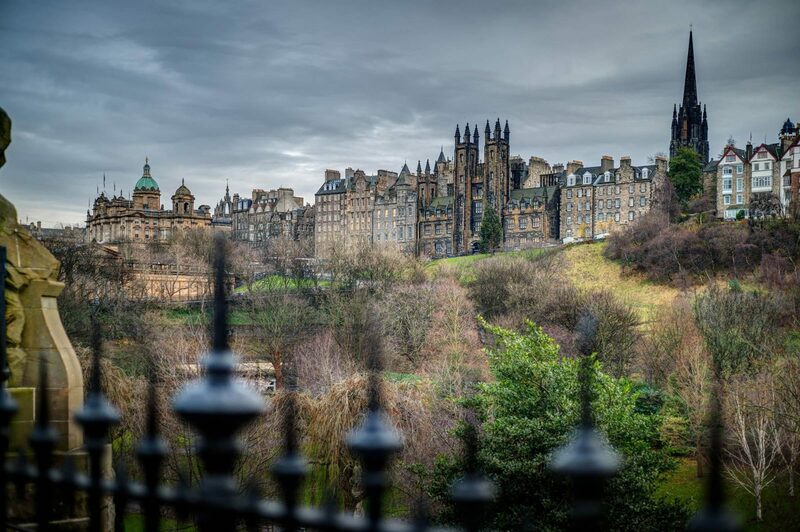 A much-admired capital city brimming with exceptional creativity and renowned for its quality of life, Edinburgh successfully mixes its unique traditions and heritage with contemporary energies and an international outlook. Currently the fastest-growing city in the United Kingdom, Scotland’s capital welcomes over four million visitors a year, nearly eight times its resident population. This sophisticated influx is drawn by Edinburgh’s cultural and historical attractions, universities, and festivals, including the world’s largest arts festival, the Edinburgh Festival Fringe. Edinburgh’s civic realm has always been one of its strengths, but as competition between world cities intensifies and city residents increasingly value public green spaces, so it has become a priority for both the public and private sectors. Accordingly, the Ross Pavilion International Design Competition focused on regenerating and renewing an emblematic site at the heart of West Princes Street Gardens, which is presently occupied by the Ross Bandstand. This nationally-important space, perfectly positioned below Edinburgh Castle in the Old and New Towns of Edinburgh UNESCO World Heritage site and adjoining the city’s most famous shopping street, is ‘a place for people’. For much of the year a tranquil space in the lively city, it is also the seasonal focus for some of Scotland’s most high-profile events and celebrations, notably Hogmanay and the Edinburgh International Festival’s closing fireworks concert. This two-stage international competition sought an outstanding team for the £25m Ross Pavilion and Gardens project to design a new landmark Pavilion to replace the Bandstand; design a visitor centre with café; and to subtly update and improve the surrounding landscape. The initiative is intended to create a flexible contemporary venue, which is sensitive to context and historic setting, and where both residents and visitors can engage with a variety of cultural events all year round. The project is being managed by the Ross Development Trust – a Scottish Charitable Incorporated Organisation. The competition’s first stage, which ran from Thursday 9 February – Monday 13 March 2017, invited Expressions of Interest from multidisciplinary design teams. From the 125 teams who entered the competition, a shortlist of seven was selected to produce concept designs. The jury met in July 2017 to interview the shortlist, and unanimously selected the team led by wHY as the winner of the competition.